How can I share access to a Google account? I help to run a small organization, which runs a camp for two weeks per year. We use a free Google account for e-mail, and there are some items stored for safekeeping in the Drive. There are a few people who benefit from accessing the account simultaneously, myself included, for slightly different purposes. But, in the past this created a problem when Google wanted to verify sign-in attempts from Brad (pseudonym) by sending a notification to my phone, which frustrated him. I had initially linked my phone to the account after signing in myself (to use Google Photos), and then Google persisted with verifying sign-in attempts on my phone. Eventually, I gave Brad a once-off backup code, so that he could sign in remotely and access the e-mail. He needed to use the account more than I did, so he changed the phone number to his phone, and changed the password. So, I lost access, and I didn't want to trouble Brad more, so I left it (that was two years ago). However, I still want to upload and organize all the photos from each camp on Google Photos, so that they are safely stored there in the long term, and we will be able to collect photos from campers more easily there, and then share them on our website. Also, I want to access the account to update and organize our contact list, and to check that all the important documents are organized in the Drive. It would also be cool if I linked our business to a listing on Google Maps. I think it's best if I do these things rather than somebody else, because I know how to do it, and I have time. What is the best way for our organization to share access to our account? My best idea is to set up two-factor authentication, because then multiple phone numbers will be able to be added to the security settings. However, this can be a hassle, especially for older people. Personally, I prefer using an authenticator app with 2FA, because then getting the code is faster, but I think that I can only have the authenticator app on one device, so my friends wouldn't benefit from that technology. I have tried searching on the internet for suggestions, and I saw that I can "delegate" someone to look at the Gmail, but I don't want to use the e-mail—that's Brad's job—I want to use the Drive, Contacts, Photos and Business. The safest way to share a Google account is that the different users use the same devices like use sharing one laptop instead of that each user uses their own laptop. A way to make this easier is to use a remote desktop access application. 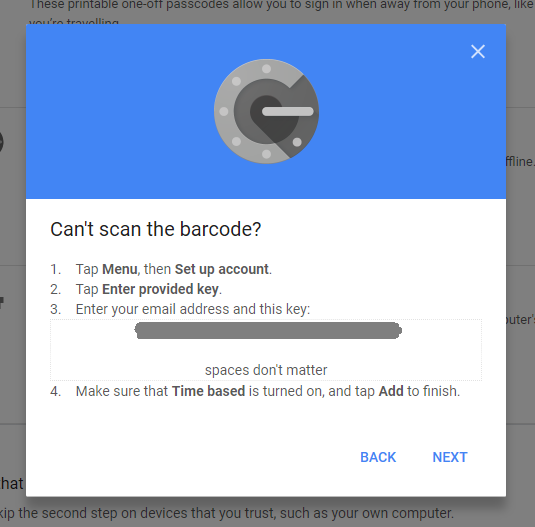 When logging in to a Google account from a new device, Google often automatically requires the user to verify themselves with second-factor authentication, especially if the location is new. That is the problem in this case. The question mentioned that two-step verification can be turned on, so that additional phone numbers can be added to the account, and each user can log in by getting an SMS to their phone number. At the log-in screen, the user will have the option to select their phone number when clicking "try another way to get the code". I think that when I initially posted the question, I thought each phone number that is added needed to be verified, as the backup phones have "Not verified" displayed in grey next to them. However, now I'm pretty sure (without going through the hassle of testing this with someone else's phone number) that these backup phone numbers will work, which means it won't be a hassle for the other users of the account when the account administrator adds their phone numbers to the 2FA options. Then the administrator of the account can share that key with the other users in the account, and those users can use that key to add the account to their authenticator apps. Again, this is not strictly necessary, as SMSes can be used, but in my opinion it is much easier to use authenticator apps compared to SMSes. Not the answer you're looking for? Browse other questions tagged gmail google-account or ask your own question. is it possible to save settings in Gmail multiple account sign-in? How to use different Google account for selected services? Give another account full access to all files in one account? 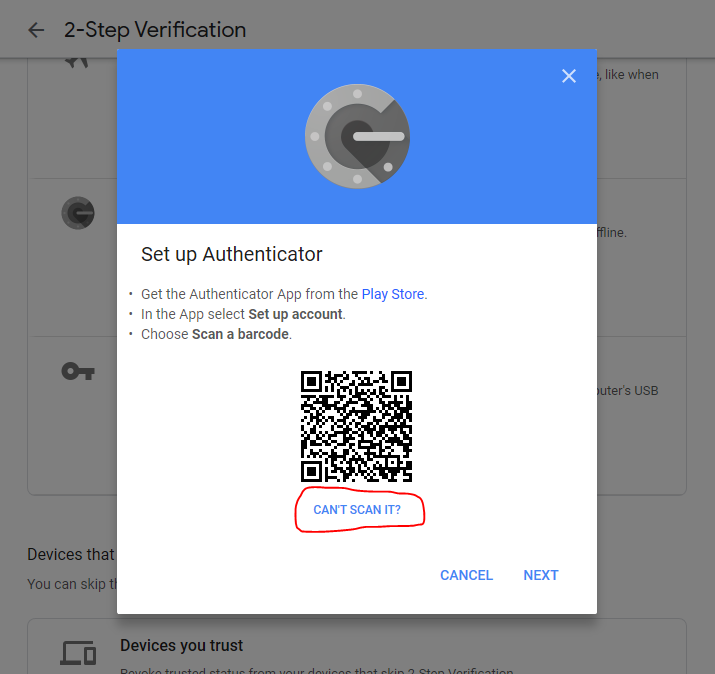 How to activate 2-Factor Authorization with authenticator for a Google account?